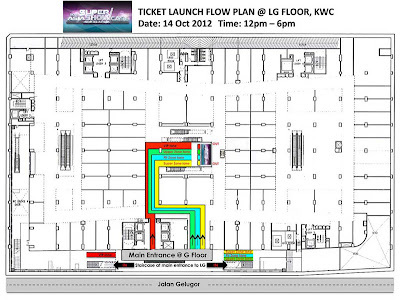 www.ruxyn.com: Kenanga Wholesale City, the k-POP Mall? Kenanga Wholesale City, the k-POP Mall? Recently, I realized that Kenanga Wholesale City (it's a rather new mall) is becoming a hotspot for Korean artists to have their showcases. ZE:A is coming. Lee Seung Gi was there last week. I'm no k-Pop fan so I don't know who's ZE:A and Lee Seung Gi honestly. But guess who's next. 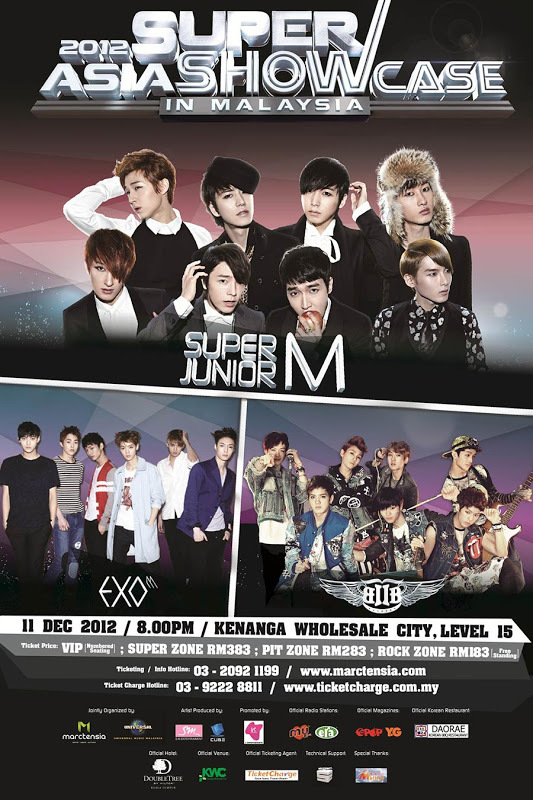 SUPER JUNIOR M is going to Kenanga Wholesale City to have their showcase. Whut. Together with Super Junior M, EXO-M and BTOB (I only know Super Junior M LOL), they are having the "2012 Asia Super Showcase" in Kenanga Wholesale City. ._________. I've been to Kenanga Wholesale City and it's a boring place. I don't like the structure of the place, plus it's only filled with clothes, clothes and more clothes..and not like it's cheap :1. I think it tried to copy Bangkok's shopping concept to sell clothes in wholesale prices and bulk and things like that but wasn't really successful. So, I thought KWC is a shopping centre, not a showcase area right? What's with these Koreans having their showcases there? !